Russell Anderson-Williams is the founder of The Prezenter Ltd which is dedicated to educating Prezi users, Prezi design, and more than anything changing the mindset of Prezi users to that of a non-linear thinker. A wildly creative and visual thinker Russell has a strong background in visual communication and graphic design, as well as a long career in training and education. Russell has designed and delivered hundreds of presentations for some of the world’s biggest companies in a variety of sectors. By merging his love and passion for educating people with his joy for all things wonderfully visual he has set a course to turn anyone in the business world into a Prezi Master through The Prezenter’s onsite and online training programs. 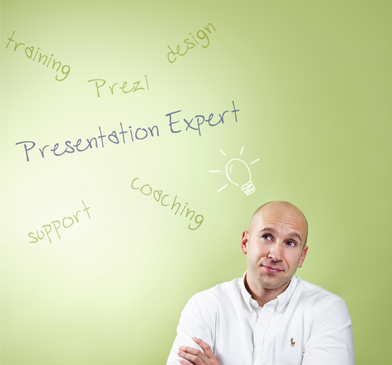 Russell is also the author of ‘Mastering Prezi for Business Presentations’ available on Amazon.com. He resides in the extremely creative city of Bristol in the United Kingdom where he spends all his time running The Prezenter Ltd and trying to convert as many PowerPoint files in to Prezi as he can.